Hot.it is simply elegant and surprises through its intrinsic values. 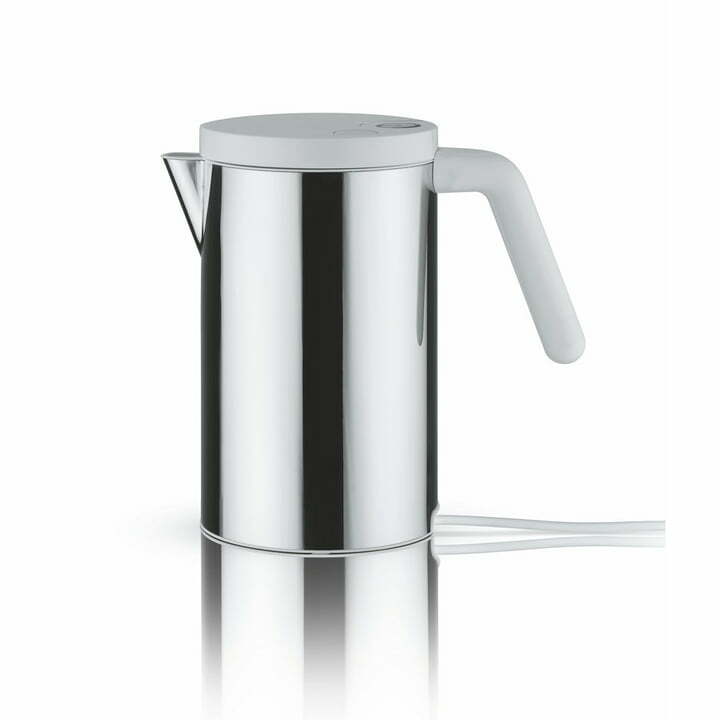 The electric kettle gives the appearance of a simple and elegant carafe. Designer Wiel Arets followed the idea to not let the individual building blocks be recognisable in his device - this is how the smooth and sleek exterior of Hot.it was created. Still Hot.it possesses all of the necessary qualities of a kettle and combines them with modern mechanisms and technical finesse to create a first class electrical kettle. 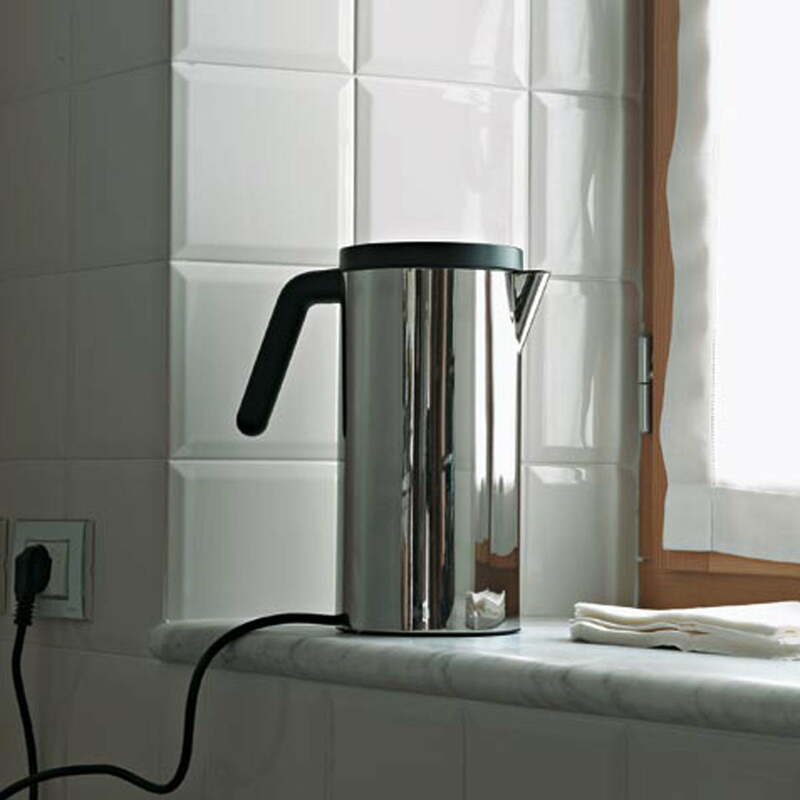 The base with power supply and cable rewind is surrounded by the kettle and therefore not immediately visible. The floor is heat-absorbing, so Hot.it can also be used on a table. 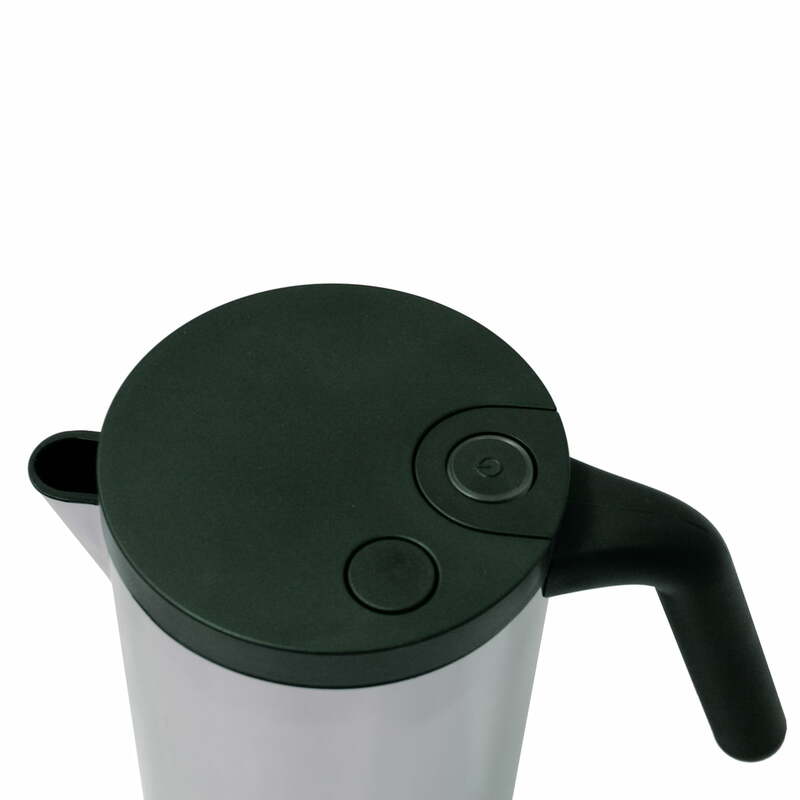 It heats up the water very quickly and turns itself off when the water boils. 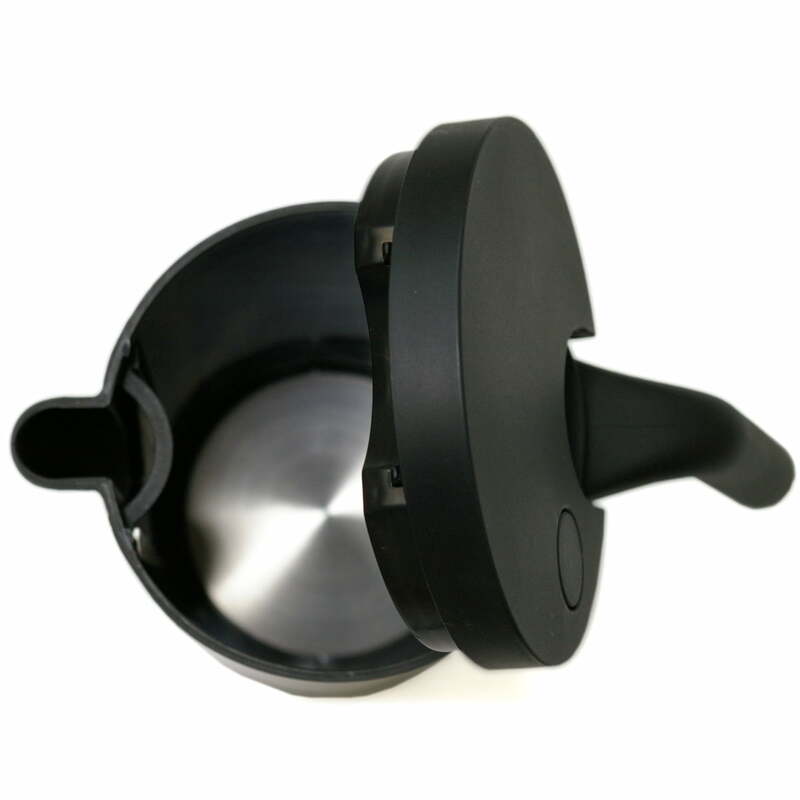 On top of the lid are the On and Off buttons and the button to open the top. 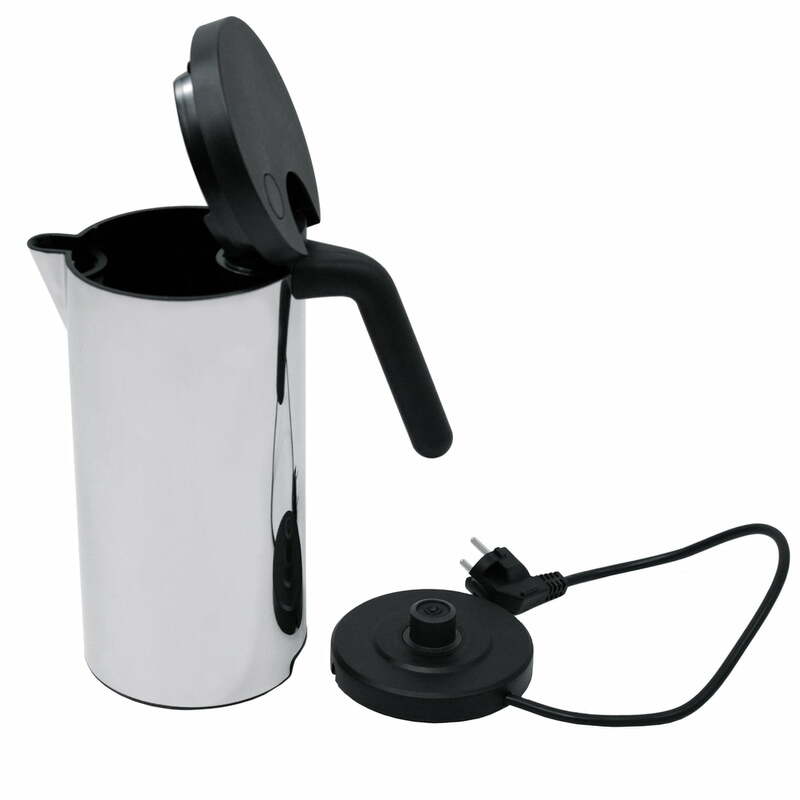 The filter of the electric kettle is removable. The heating coil is located beneath the stainless steel plate so that it does not come into contact with the water and pesky lime deposits can be avoided. 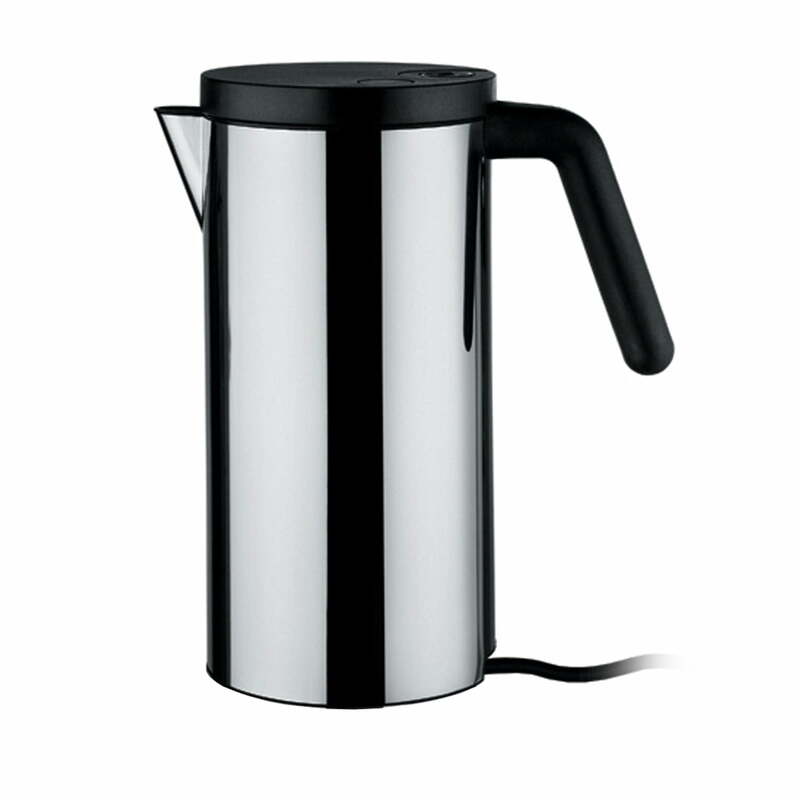 The designer Wiel Arets continues his research with the Hot.it kettle that he had begun with Coffee.it, Pepper.it, Salt.it, and Screw.it. Here the products underlie a strict use of the volume and the functional parts, which strongly reduces them and makes them seem very simple. Power plug type Plug Type E+F (CEE 7/7) - Used in: Germany, Austria, the Netherlands, Spain, France, Belgium, Slovakia and Tunisia. Please check, if you need an adapter for your country! 120 of 231 customers have found this review helpful. Simple and modern. Quickly boils water. Quiet to use! One small rustyspot appeared right away inside to the bottom. It hasn´t enlarged since, so I don´t mind it.